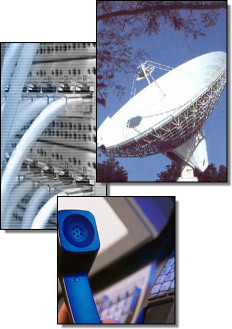 GLOBAL GATEWAY EXCHANGE: is a network of over 5,400 Service Professionals providing On-Site installation, technical troubleshooting, diagnosis, and repair services, "Tech Visits" for many fortune 1000 companies and large corporations with multiple locations for the common goal of servicing and supporting their technical needs. Whether the task is configuring and turning up a router, running Ethernet cable, or providing qualified field services on a global enterprise level, GGE has the skill and support to see your project through completion. All of our field representative are GGE Certified Valued Field Technicians and are initially tested and approved by passing an on-line test. For more intensive projects or roll-outs, select groups are given specialized training and support directly related to each project. Our on-line Portal gives both our dispatch and the technician the ability not only to communicate throughout the project but enables a clear and concise exchange of information to ensure a smooth transaction. If you have the skills, ability, and equipment necessary to provide best-practice Internet connectivity service to our customers, then we invite you to become a GGE technician. Simply provide us with your profile information via our application form and we'll take it from there. We look forward to working with you!